Don Haddow credits his lifelong passion for motorsports to a childhood Christmas present from an aunt. “Thrills of the Speedway” was the title of the book, and his aunt seems to have anticipated Don’s interests well. It recounted the exploits of early stars such as Louis Chiron, Tazio Nuvolari and Sir Malcolm Campbell. While the book has lapsed into obscurity, it kindled a need for speed that fuelled Don’s later success on two wheels, four wheels and on skis. Growing up in Toronto, in the early postwar years Don began to hang around the shop of a prominent racer and businessman named Chuck Stockey. Stockey had negotiated the rights to import Velocette and Vincent motorcycles from England and Don would hold a light and try to make himself useful while Chuck assembled the new motorcycles out of their crates. Don badly wanted his own bike and at the age of 15 took a summer job working on lake freighters to earn the money. Stockey had taken a used Matchless single in trade for a new Vincent and this became Don’s first motorcycle. A month later came Don’s first motorcycle crash when he was rear-ended at night by a car. He gained a concussion and gravel rash on his head and shoulders, while the Matchless went for repairs to the AJS-Matchless importer, Harry Firth in Toronto’s east end. Every time Don would telephone Firth’s to find out when his bike would be ready he was told that the needed parts were still “on the water.” He found out later that his father had told the shop to delay the repairs, hoping he would lose interest. Eventually the bike was ready in December and Don rode it through the winter of 1947. 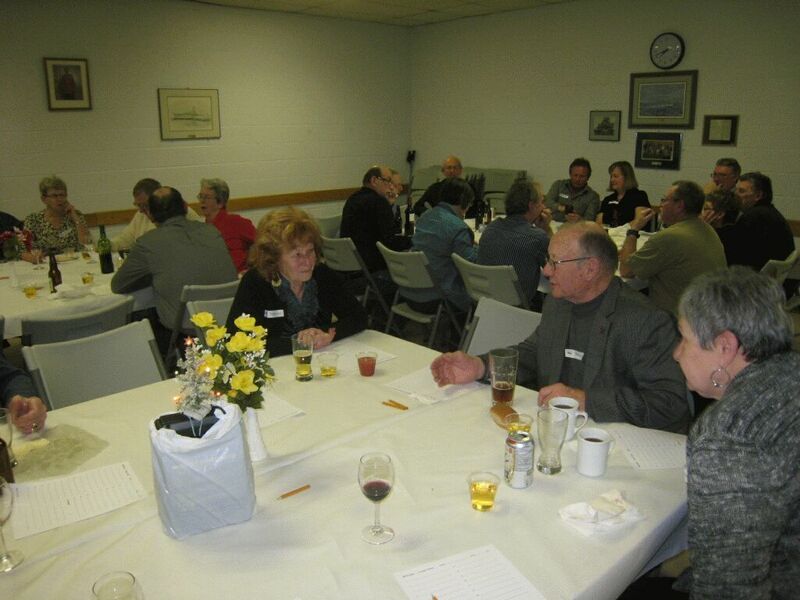 When he finished school, Don worked on oil tankers to raise funds for a used MG TC that he entered in the sports car races at Edenvale, an airport circuit near Stayner, Ont. His ambitions were thwarted, though, when he learned the prices of competitive machines like the Allards and Jaguars that he aspired to. Motorcycles seemed like a better deal, and Don turned to a used 500 cc Triumph T100C with twin carbs, low bars and a sprung rear hub. Bingo, his first race win at Edenvale at the age of 23. A change of handlebar, gearing and rear tire would make the Triumph into a dirt tracker, and Don entered a variety of races in Ontario and Quebec with much success. 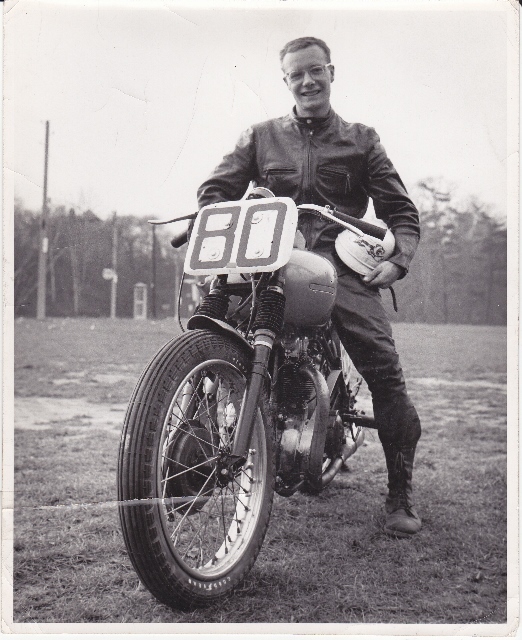 He also took to the trails with a ride in the British Empire Motor Club winning team entry of the 1955 Corduroy Enduro on a twin-cylinder Matchless, and gained a senior class win in 1956 at the Ontario championship scramble at Peterborough. 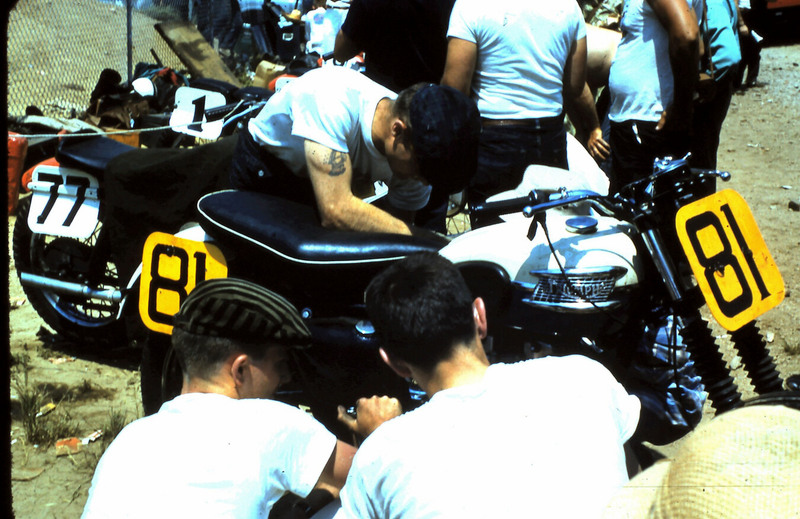 In 1957 Don bought a new Triumph T100R and was rewarded with the Canadian championship in the expert class at Harewood Acres, near Jarvis, Ont. A few weeks later he placed second in the 25-lap final of the BEMC Indian Summer Trophy Races, again on the Harewood airport circuit. He was a non-finisher on the beach at Daytona but also raced at Laconia, Marlboro and Watkins Glen with what he describes as limited success. Don’s career was taking off. He was invited to ride a factory Triumph at Daytona in 1961 by Rod Coates, service manager for the Triumph Corporation. He had to take time off from his winter job as a ski instructor in Quebec but recorded the fastest qualifying time and pole position for the race. Don was mentally counting his race winnings when the Triumph stopped with a broken condenser wire. Coates had also arranged for Don to ride a Yamaha TD-1C in the 250 cc race, but his seventh place finish was disqualified as he’d missed an unknown check of engine numbers 10 minutes before the race. Coates offered him the Triumph for the rest of the season but Don suffered a broken leg skiing at Mt. Tremblant and the ride went to Bill Sharpless. Late in the season he rode Oscar Liebmann’s hand-built BMW Rennsport special at Harewood and narrowly beat Al Johnson on a Norton Manx to win the Indian Summer Trophy Race. In 1963 Don received an invitation from Mike Duff to ride the Isle of Man TT on the Matchless and AJS race bikes that Duff had bought through Harry Firth; Duff was being sponsored by the legendary Tom Arter and would be riding Arter’s own machines. Don gained a 17th place finish and bronze replica on the 350 cc AJS 7R in the Junior TT but a moment’s inattention led to a crash at Glen Helen while riding the Matchless G50 in the Senior. Don spent a week in hospital before flying home. Don also received a first class award in the Canadian winter rally in 1962 and competed in sports car hillclimbs in the legendary Jordan Special, a home-built car with alcohol-fuelled Vincent engine. It was invariably the fastest machine on the hill, regularly defeated Ludwig Heimrath in his Porsches and still holds the hill records at Hockley Valley and Rattlesnake Point.